What book do you recommend for my clients? Watch the video to get your answer, then go here to purchase Don't Worry Retire Happy, or here to purchase Paychecks and Playchecks. Do you have digital versions of your books available? Can I switch a physical copy for a digital copy? The only digital version of our books is the Kindle version. Kindle is controlled by Amazon, so we cannot send the digital version of the books to you. This also means that we cannot switch out hard cover copies for the Kindle versions. I don’t have any CD players; can you send me the MP3s? When you first make the purchase, you will be automatically directed to the download page. You will have to click on the product, scroll down, and click the link under “downloadable” to download the MP3. If you left this page for whatever reason, you will have to log back into your shopping cart account. After your purchase, you will receive an email with the title “Username and Password.” Go to this email, and click the link it provides you. Next, fill out the page with the username and password that was provided in the email previously mentioned. Then, click log in. After logging in, you will have to click on the product that you would like to download. After you are transferred to the product page, there will be a rectangle at the bottom that says “downloadables.” Click the link it provides, and download the product. Repeat, starting with the product page, if you purchased multiple digital products. I purchased the event bundle at one of Tom’s events. How do I set up my account? Use the live chat. If no one is available to answer your message immediately, we will follow up as soon as someone is able. How do I get the MP3 files on my iPhone? This will only work on a computer. You cannot download the files directly onto your iPhone. After you download the files to your computer, open your iTunes. Once you have iTunes open, click “file” at the top left. Find the location of the MP3 files on your computer, select them, and click “open.” This will download the MP3s to your iTunes. Before you continue, connect your iPhone to the computer that you’re currently using. Next, you will have to drag the MP3 album over to your iPhone. Do not try and organize the files at this time. You will have to organize the files after they are on your iPhone. Finally, make sure to sync your iPhone before unplugging it. 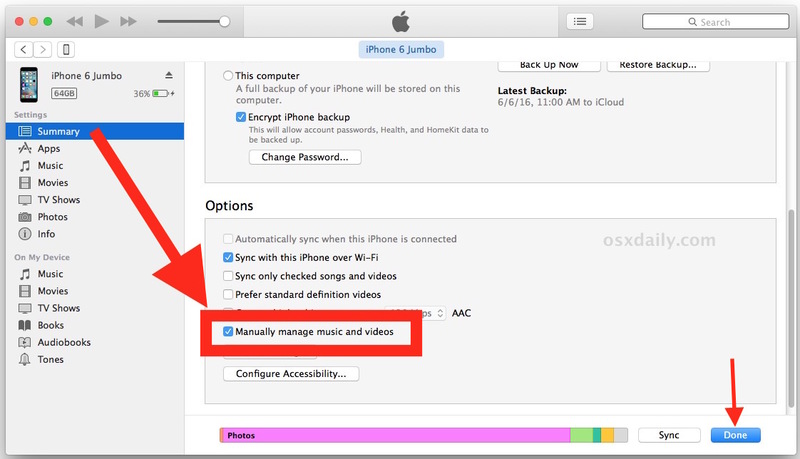 If you are having trouble moving the files from iTunes to your iPhone, you will have to click the phone icon. Next, scroll down, and check the box that allows you to manually organize your library. Scroll down, and click the “apply” button. Then, click the “done” button. Go back, and drag the album file over to your iPhone. How do I cancel my Tom Hegna on Demand account? To cancel your account, send an email to Support@Tomhegna.com, and someone will cancel the account owner as soon as possible. Once the account is canceled, support will send you an email confirming the cancellation. Tom Hegna on Demand is non contractual and can be cancelled at any time. Cancelling your subscription before the current drafts end will allow you to maintain access until the following draft date. We do not offer refunds for Tom Hegna On Demand. The only exception to this is that if you cancel after the first 30 days following the date of purchase, you are no longer eligible for a refund of any amount. My CD case of audiobooks didn’t come with an MP3 file. Can you ship that out? This is usually a common misconception. In every case of CDs for the audiobooks, there is a 6th disk. If you look on the back of the CD case, it will explain that the 6th disk contains all the MP3 files for the audiobook. If the 6th disk isn’t working, is broken, or wasn’t included, send an email to support@tomhegna.com to let us know, and we will send you a new disk. I have a broken or damaged product. Send an email to Support@tomhegna.com with photos and a clear explanation of the damage. We will then quickly send a return label to your email. After receiving the label, please print it out and apply it to the package that the damaged item was received in. Then you can have the USPS pick it up, or you can drop it off at the post office. After receiving the damaged item, we will send the new, undamaged product with the fastest mail service available. How do I sign up for Tom’s newsletter? Go to TomHegna.com, and scroll down until you see an orange banner towards the middle of the page. Enter your first name, last name, and email address, and then press the “join” button. Tom’s presentation flash drive that I received in the mail doesn’t work. Most of the time, the file will not automatically open. You will have to go to the “My Computer” file and manually open up the flash drive files. If it still isn’t working, you may be on an office computer that is highly secure and will not allow 3rd party physical extensions. You can use it with another computer that does not have these security measures in place. Is there Quantity pricing available for Tom’s products. Yes, absolutely. Send an email to Support@tomhegna.com, and we will help you figure out the best product for your specific situation. How do I know if the product I am interested in is available in digital format? Can I download my virtual training course videos? The videos on Tom Hegna on Demand are embedded into the website itself and cannot be downloaded. If you would like to share the videos, you can create a client account and give them access to the Retire Happy U! Educational Course. If you would like to listen to the videos on the go, you can access Tom Hegna on Demand through the browser on your smartphone. How can I redeem my coupon code? After you find a service that you would like to purchase, simply click the add to cart button. When you click that button, it will add the product to your shopping cart. After your product is added to the shopping cart, click the shopping cart button in the top right-hand corner. When you click the shopping cart button, a sidebar will appear where you will click on the checkout button. There, on the right-hand side of the page, under payment information, you will see an area where you can enter a coupon code. Type the coupon code, and click “apply.” If you used an accurate coupon code, it will be listed under the “subtotal” as a discount. Click the “Pay” button when you are ready. The “Pay” button will also include the total amount due. Why doesn’t my total reflect the discount of the coupon code? If the coupon code isn’t working, it may be one of the following reasons: The coupon has expired. You usually find the expiration date for the coupon in the same location where you found the coupon. The coupon code may not be applicable to the item you are trying to purchase. Some coupons are for specific items only. You can find the item that the discount code applies to in the same spot that you found the code. The sales tax has already been included in the listing price so you won’t have to worry about any surprise costs at checkout. If you purchased a digital product and are looking to download it, then you should watch the video above. It will give you step-by-step instructions on where you need to go and how to download your digital product.